Moscow, September 16, Interfax - The Russian Orthodox Church has expressed hope that the satirical magazineCharlie Hebdo will be held to account for publishing a caricature of a dead Syrian boy. “The earthly life of a human being is not the highest but rather [the most] important value. 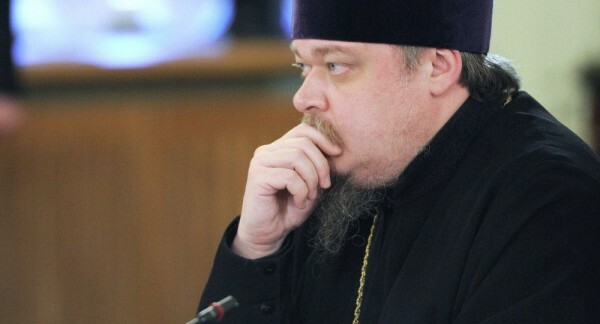 People who showed extreme disrespect for religious shrines are now also trampling on this value by portraying a human tragedy in an extremely disrespectful way,” Russian Orthodox Church spokesman Archpriest Vsevolod Chaplin told Interfax-Religion. “I would like to repeat once again: there are things which cannot be mocked, and I can understand the people who are now suing this magazine and express their outrage,” the priest said. He blamed western elites for the tragedy of hundreds of thousands of refugees fleeing Syria and other Middle Eastern countries. He recalled a recent remark by Stavropol mufti Muhammad Rakhimov who said that the countries which followed the U.S. lead are now being rewarded with an uncontrollable wave of migrants. “Well, it is their fault,” said Father Vsevolod, who is convinced that the moral responsibility for what is going on lies precisely with the politicians and public figures who wrecked peace in many Middle Eastern countries. “Now half of Europe is paying for that. I think the United States too will pay in one form or another because the injustice will inevitably hit those who perpetrated it,” the priest said. “But what happens after the publication of the caricature of the drowned child is a big question. I hope justice will be done and public groups dominating the West will part with their usual notion that the life of an elitist caricaturist is more important than that of a native of the Middle East,” the church spokesperson said.